Jakoah Brgoch, assistant professor of chemistry in the College of Natural Sciences and Mathematics, is the 2018 recipient of the American Chemical Society-Greater Houston Section’s (ACS-GHS) Younger Chemist Award. This award, which recognizes contributions to education, research or service, is awarded to chemists under the age of 35. 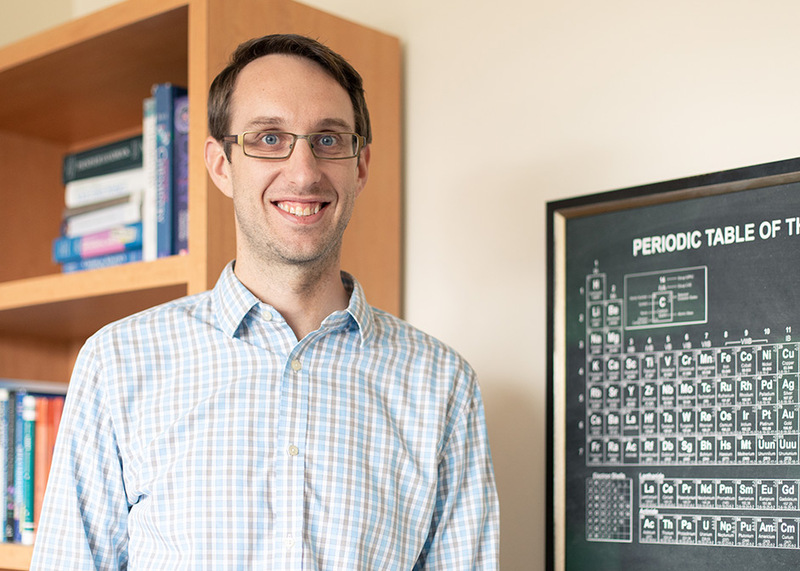 Jakoah Brgoch, assistant professor of chemistry, is the 2018 recipient of the American Chemical Society-Greater Houston Section’s Younger Chemist Award. For Brgoch, who joined the University of Houston’s Department of Chemistry as a faculty member in 2014, his involvement in ACS dates back to his days as an undergraduate. Since then, his involvement with ACS has been at the local and national level, including serving on committees, mentoring high school students as part of the ACS Project SEED Program, and serving on grant review panels. Brgoch works on developing materials with useful properties. These include superhard materials, which can be used in drilling applications, as well as luminescent materials, which have applications in LED lighting. Given that most of the existing materials in these applications require rare and expensive elements, Brgoch’s research group is specifically focused on using his methods to find cheaper, more sustainable alternatives. This year’s ACS-GHS Younger Chemist Award is the third year in a row that a faculty member from UH’s Department of Chemistry has won. “The department is extremely supportive when it comes to nominating faculty for awards,” Brgoch said.